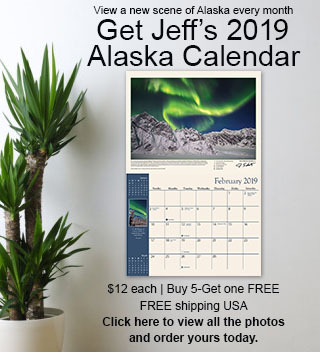 Click on the banner above to get to Amazon.com and any purchases you make will help support the website, newsletter, and blog. That is it! you don’t have to do anything else. 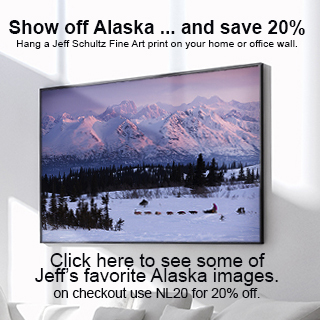 Just use the link above to get to Amazon before you make any purchase. Thank you so much for your support! Mindshift makes some of the best and most innovative photo backpacks on the market. If you are in the market for a new camera bag you should definitely check them out. If you use the link above to place your order you are helping to support the blog, website, and newsletter. Breakthrough Filters makes the world’s sharpest and most color neutral ND filter. This critical especially when using extremely dark ND filters. 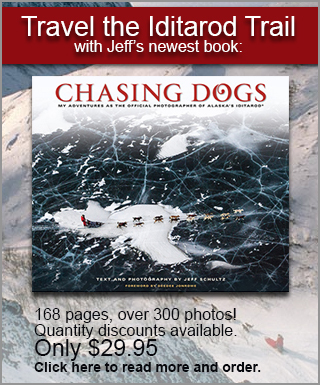 Jeff has purchased and used many such filters that applied a heavy color cast that could not be removed in post-processing. Breakthrough’s filters are the exception. 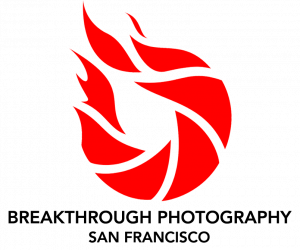 If you purchase a filter by using the link above you are helping to support the website, blog, and newsletter. 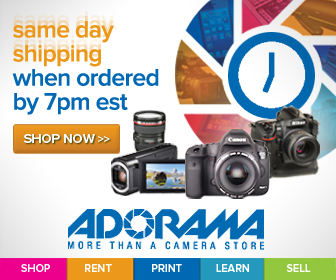 Adorama is the best place on the web to purchase any photography gear. 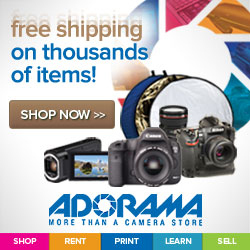 And if you click on the banner above any purchase you make from Adorama helps support the site, blog, and newsletter. 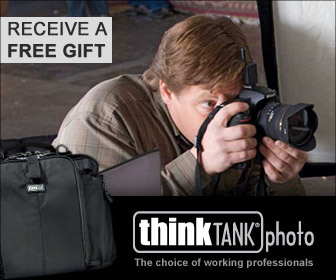 Think Tank is another great camera bag company. 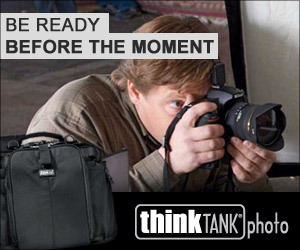 Mindshift backpacks are excellent but Think Tank offers a more comprehensive range of camera and equipment bags and containers. Please check them out as well. As with the others any purchases you make using the link above helps support the website, blog, and newsletter. 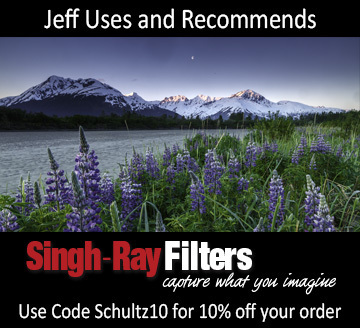 Jeff has used Singh Ray filters for many years. They provide an excellent variety of filters for many applications. For high powered neutral density filters we recommend Breakthrough Filters but for everything else, Singh Ray is a great choice. 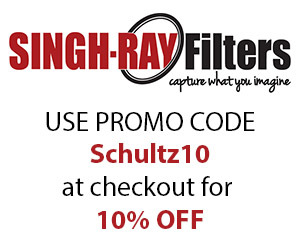 Singh Ray is offering our readers a special 10% off discount too! 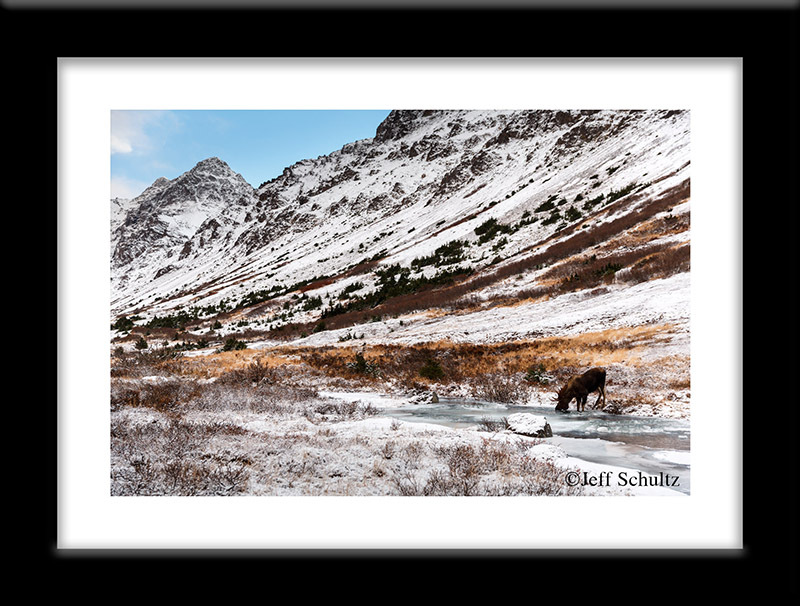 Simply use the promo code “Schultz10” at the checkout. Using this code also helps support the blog newsletter and website.